Want to run your best 5K in 2018? Looking to lose weight, run your first marathon or qualify for the Boston Marathon? Running-themed New Year’s resolutions can be ambitious, but there are some reliable ways to realize your goals. 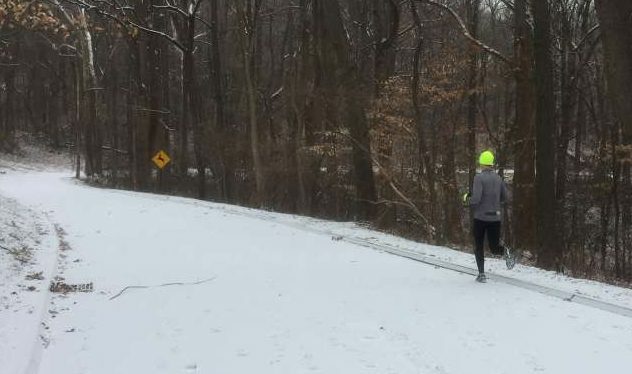 Setting realistic goals is a major step toward success, said Jerry Alexander, who coaches at both Georgetown Running Club and Northern Virginia Running Club. “It’s easy to set goals that sound good and sound inspirational, like qualifying for the Boston Marathon, but if you’re someone who is 20-25 minutes off of that time, it may be a bit too much to bite off,” said Alexander, who coaches more than 150 athletes between the two clubs. Alexander said there’s a sweet spot when setting a running-themed New Year’s resolution. “You want it to be ambitious enough that it will motivate you, but not so ‘pie in the sky’ that you realize it’s too much and you’re not going to accomplish so why even try?” he said. Also, it’s important that runners be honest about how much time can be dedicated to the objective because “you don’t want to set a goal you don’t have time to do,” Alexander said. 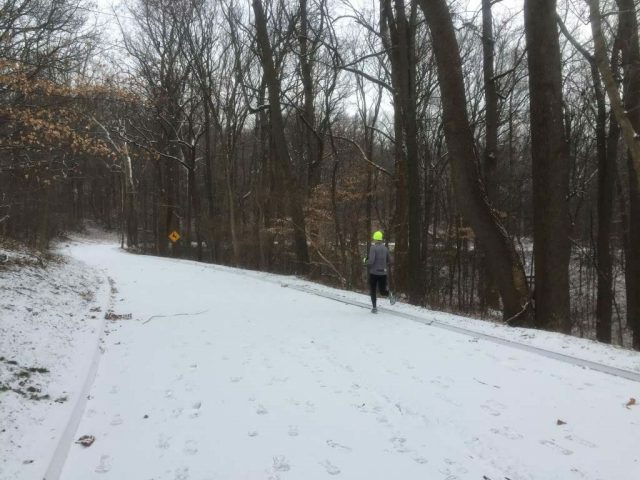 Rick Amernick, president and founder of DC Capital Striders Running Group agreed, saying “a lot of runners find it hard to get out there and make time for it,” which can lead them to back out on their resolutions. One thing that helps runners forge a plan to accomplish those realistic goals is joining a team where coaches and teammates can help runners “unlock their potential” and “look realistically at what [a runner] can do,” Alexander said. Amernick said that kind of accountability is key. Group runs, which DC Capital Striders offers around the region, can help keep runners on the hook for their commitment. “The power of having peers is pretty amazing and it’s always good to have friends to run with to get you out the door and challenge you to keep up with your fitness,” Amernick said. Coach Tammy Whyte doesn’t make resolutions, per se, preferring the semantics of a general “goal” to guide her. “I guess (they’re) pretty similar, but the language is important to me,” she said. OK, so you didn’t follow through — you missed too many workouts, were sidelined by an injury, or just lost interest. Whatever the reason, it’s OK to embrace shortcomings and refocus your resolution, the experts said. Adjusting your goals as you go is crucial, Amernick said. “​If you fall short, set new goals then; I don’t accept failure, I would just say maybe set your sights on something else,” he said. Writing in a journal, talking with a friend or reevaluating deadlines and expectations can also help runners bounce back if they don’t succeed, Amernick added. When setting running goals, remember to walk before you can run, so to speak, Amernick said. You may have to run a half marathon before you’re ready for a marathon, for example. Embracing the process and cherishing the training can lessen the sting that may come with not achieving a goal, Alexander said. It’s advice he says he has given when coaching runners — elite and amateur alike. Every runner is different, and goals are malleable depending on experience, but there are some New Year’s resolutions Alexander suggests runners consider in the new year. At the top of the lists is a goal to be consistent — meaning incorporating a set number of workouts each week and making that plan a part of your schedule. Still, it’s vital to take it week by week and be able to adapt if your plans change or roadblocks pop up. “Have a back-up plan for when weather gets in the way or if you’re traveling or you have to work late. If you can’t run, then lift or ride the bike,” he suggested. It may sound simple, but staying healthy is another auspicious goal for 2018. One way to accomplish that is to “do the little things” that will prevent injury, Alexander said. That includes stretching, foam rolling and core work. Running can be fun — but racing is even more fun. That’s why Alexander says runners should set a goal to race more in the new year. “There are lots of opportunities to compete on the roads year-round,” he said, adding track meets are good options too. Resolutions, or goals, won’t always be easy, but they shouldn’t be, anyway. Whyte personally struggles the most with stretching or doing foam rolling more often.